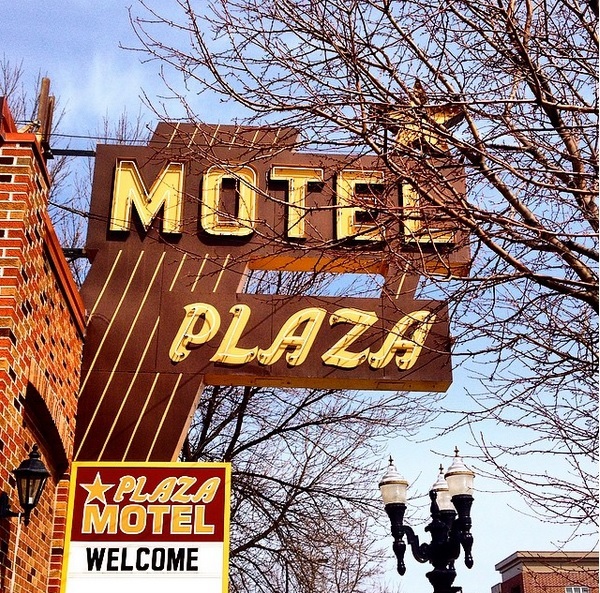 Last year we checked out the Top 50 vintage neon signs found in the great state of Minnesota. Sadly, some of the beauties in our original installment are no longer there. Buildings get demolished, signs get upgraded, businesses close, things fall into disrepair. So we hit the road and photo’d a few more for our next installment, numbers 100-51 of the greatest neon signs all around the state. Enjoy! 100. Smith Furniture, Wadena – Wadena has a lot of great old signage downtown. 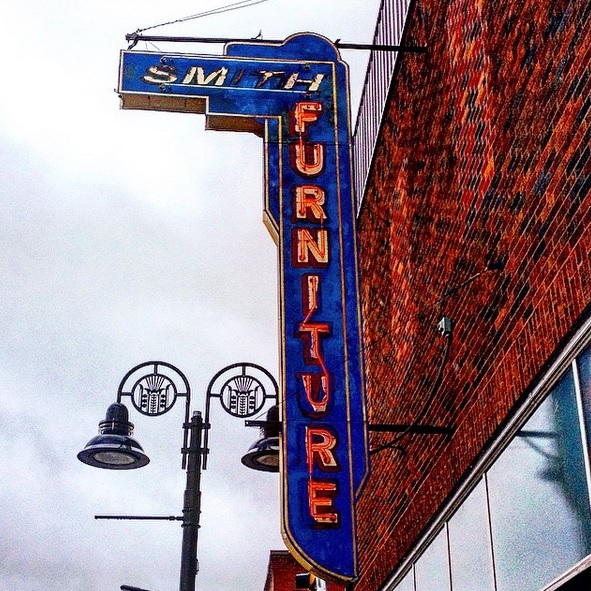 Like the Smith Furniture sign, for example, which has been around since the 1950’s. 99. Liquor Store, St. Hilaire – A colorful peacock-y type of neon sign hangs above the door of the St. Hilaire Municipal Liquor Store in tiny St. Hilaire, just south of Thief River Falls, MN. 98. 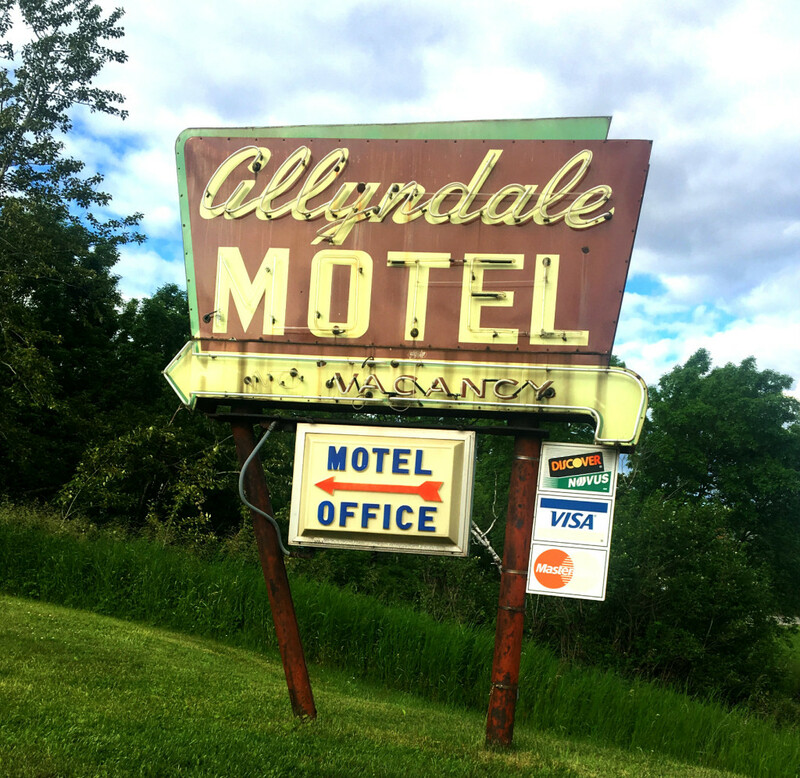 Allyndale Motel, Duluth – The big, bold, classic sign outside of the storied Allyndale Motel just south of Duluth has a great design with an arrow on the bottom. 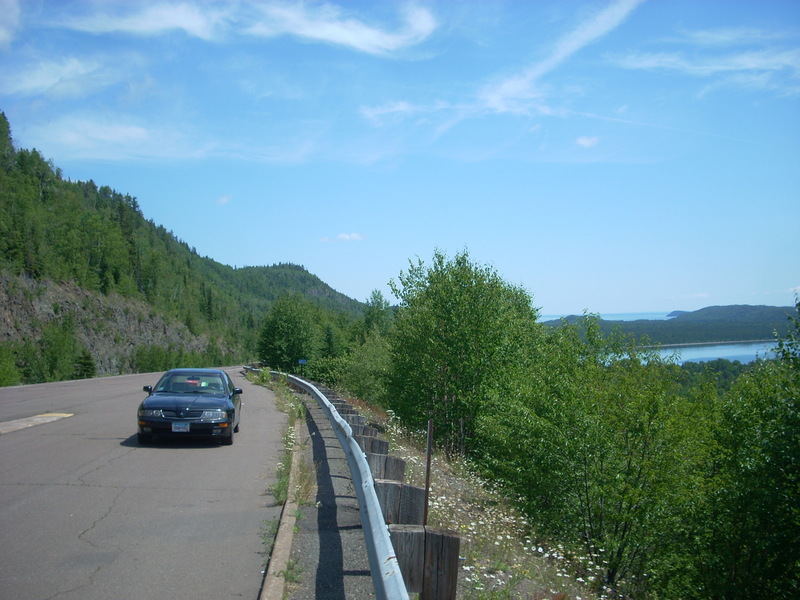 The motel is just within steps of some rocky hiking trails overlooking Lake Superior. 97. 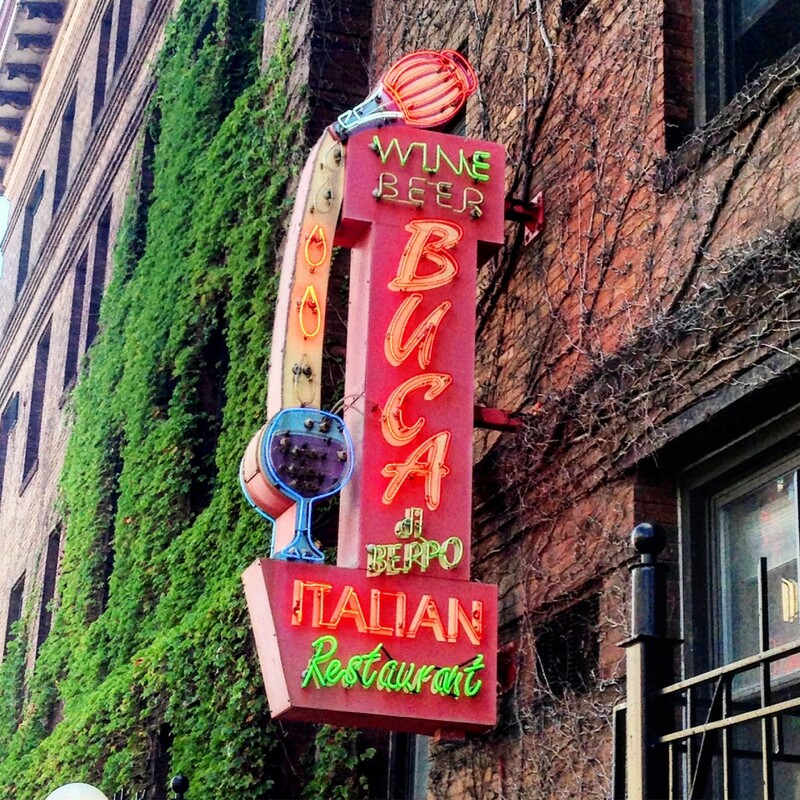 Buca Di Beppo, Minneapolis – Although the colorful, fun Buca sign itself is not likely older than about 15 years or so, it is modeled after vintage older signs like the Catalina Italiana in Boston. 96. 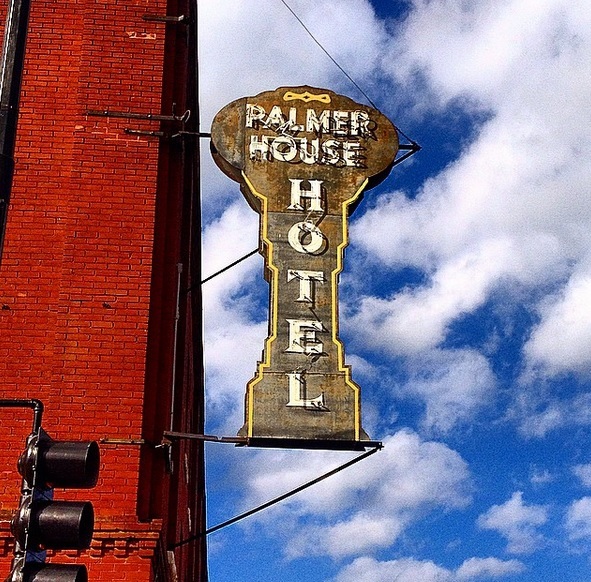 Palmer House, Sauk Centre – Sauk Centre’s historic Palmer House Hotel dates back to 1901, with a couple vintage neon signs added in later years. It is one of the most reportedly haunted buildings in Minnesota, even attracting the show Ghost Adventures to film an episode there. 95. 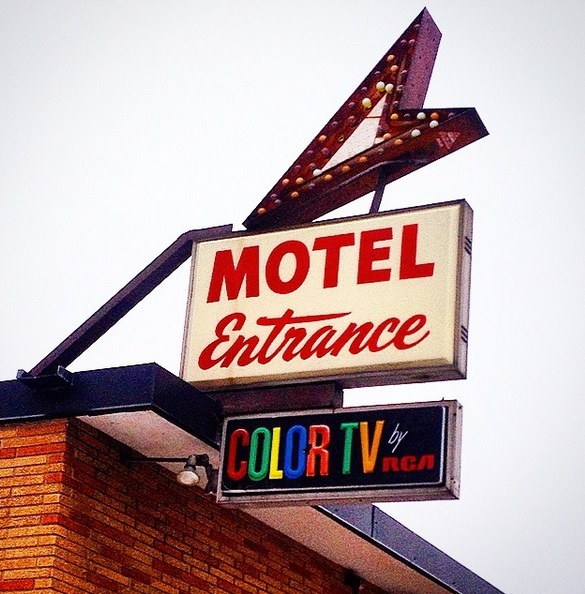 Midway Motel, St. Paul, MN – Found on in the working-class neighborhood of Snelling Ave near Hamline University in St. Paul, the Midway Motel features an original Color TV by RCA plastic retro sign and a light up arrow on top. 94. 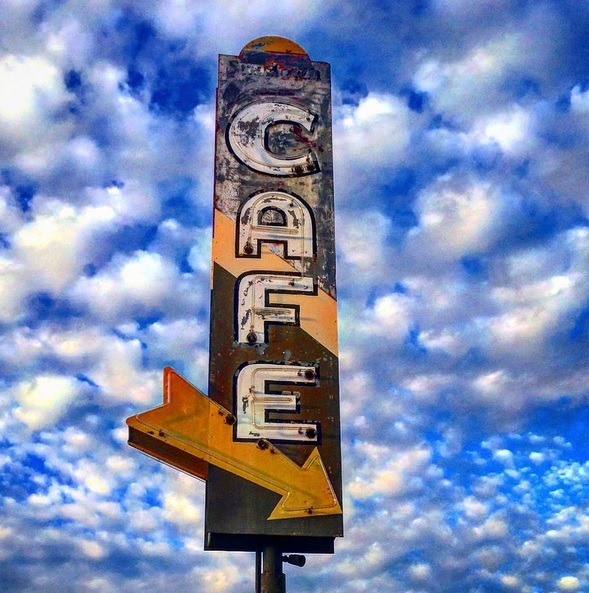 Dari-ette, St. Paul – The Twin Cities are home to some of the best, colorful neon signs in the state. 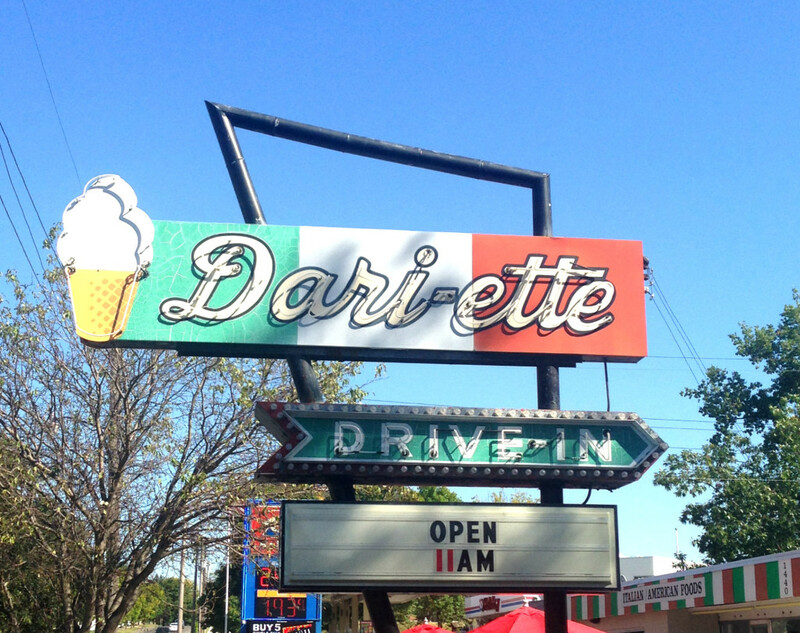 St. Paul’s Dari-ette Drive-In is a classic neighborhood grill, featuring a colorful sign with an ice cream cone neon. 93. 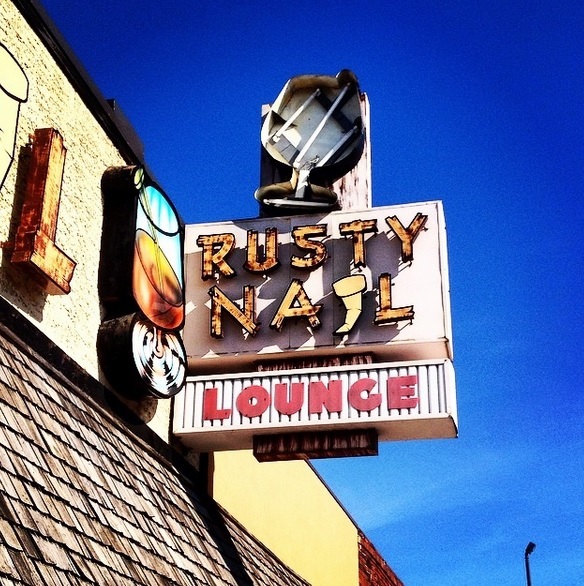 Rusty Nail, Thief River Falls – The classic dive bar in the northwestern town of Thief River Falls, the Rusty Nail Lounge, has a great vintage sign – which was unfortunately missing the graphic of a cocktail on both sides during my last visit through town. 92. 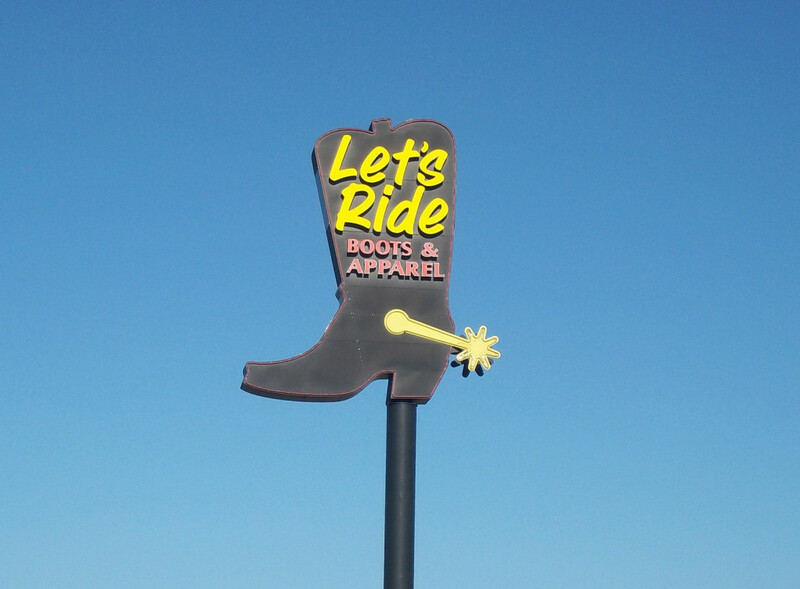 Let’s Ride – Owatonna – Let’s Ride Boots and Apparel, visible from I-35 in Owatonna has a great boot-shaped sign advertising their western-themed store. 91. 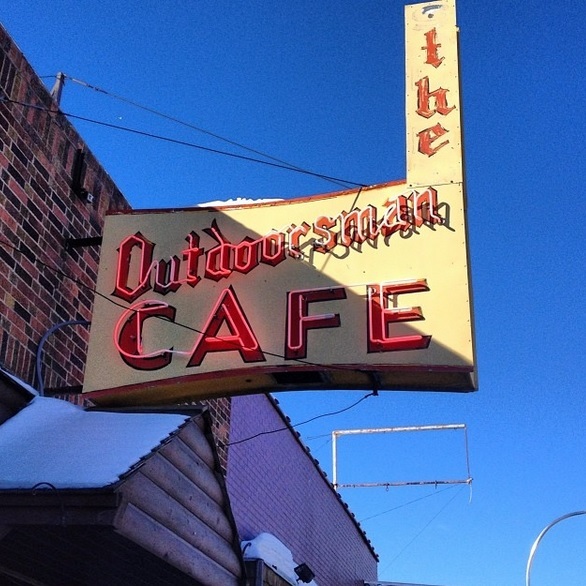 Outdoorsman Cafe, Walker – A great little Ma and Pa cafe in the touristy Walker on Leech Lake, the Outdoorsman has a nifty little neon above its door that doesn’t show off, but doesn’t fall behind either. 90. Plaza Motel, East Grand Forks – Nestled in the historic downtown district of East Grand Forks is the classic motel straight out of the 1970’s with a drive-in carport area off the street. It has a great old retro brown and yellow sign with a big star on top. 89. 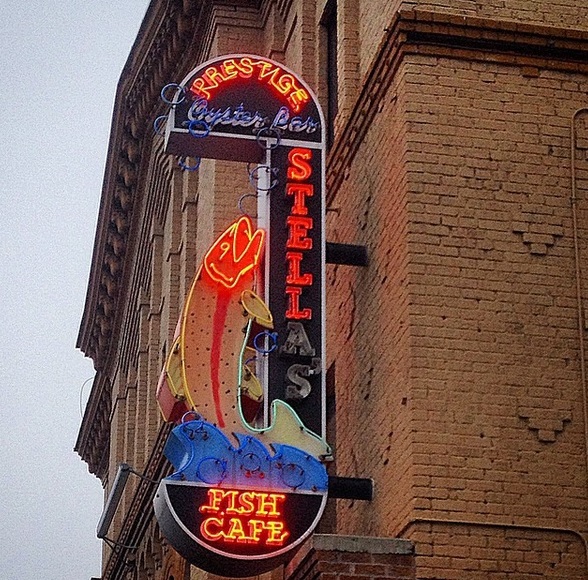 Stella’s Fish Cafe, Minneapolis – Stella’s, a landmark of the legendary “Uptown” neighborhood I once called home, is a great seafood joint with one of the better rooftop patios in the city. Its sign, while not terribly vintage, is a classic neon with a fish on it. 87. 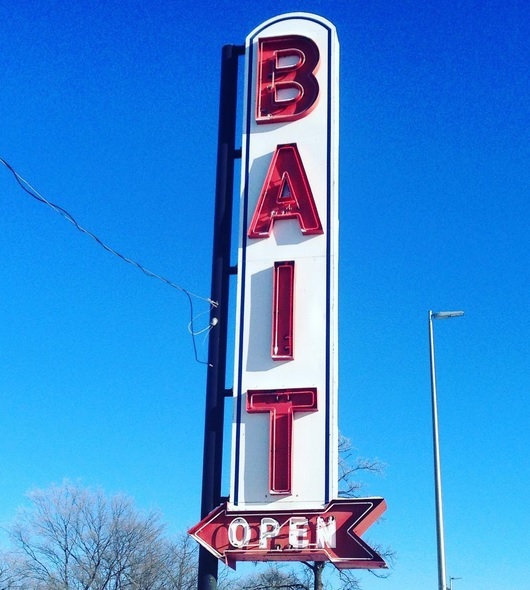 Christopherson’s Bait Shop, Alexandria – A big, vertical sign with a small arrow at the bottom. This sign’s beauty is in its simplicity. 86. 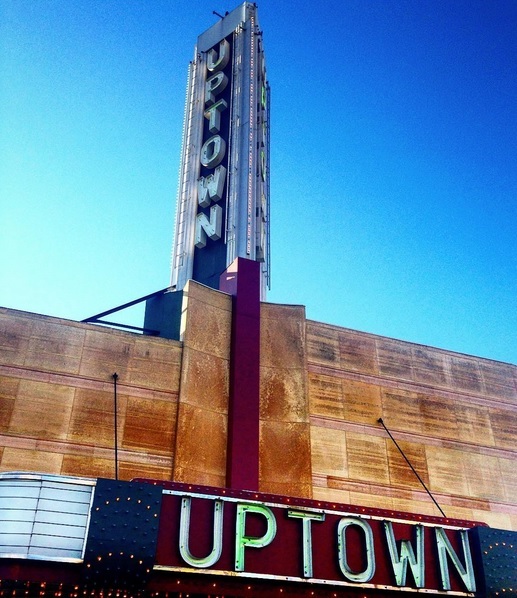 Uptown Theater, Minneapolis – A landmark of Uptown on Hennepin Ave, the Uptown Theater is an Art Deco gem dating back to 1916. Its light-up sixty-foot tall tower was the first three-sided tower sign in the country. 85. 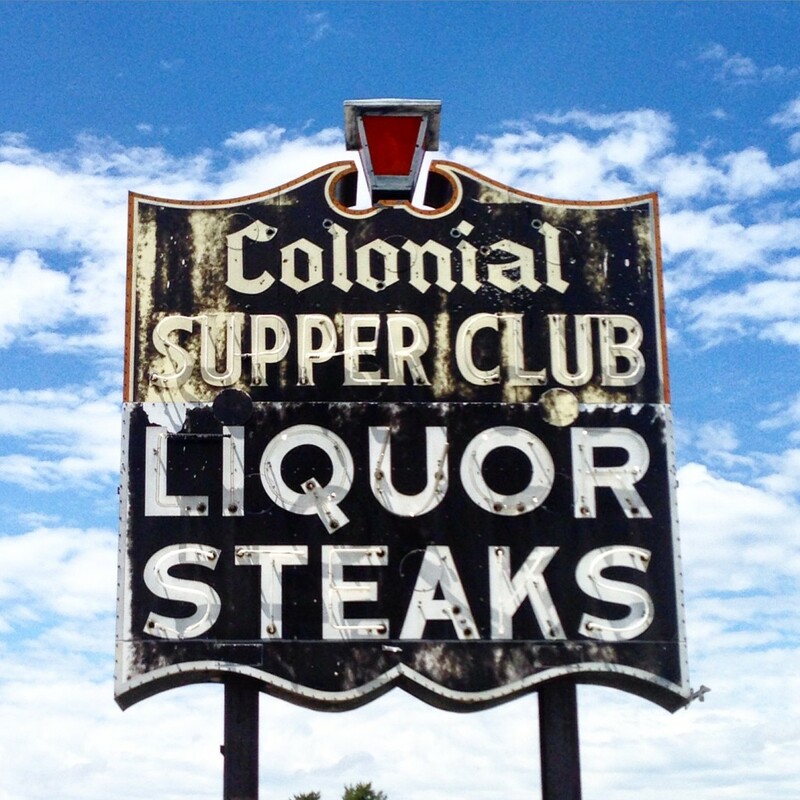 Colonial Supper Club, Perham – The Colonial Supper Club in Perham, MN, is long since gone – but its vintage old sign still welcomes visitors into town from the west. 84. 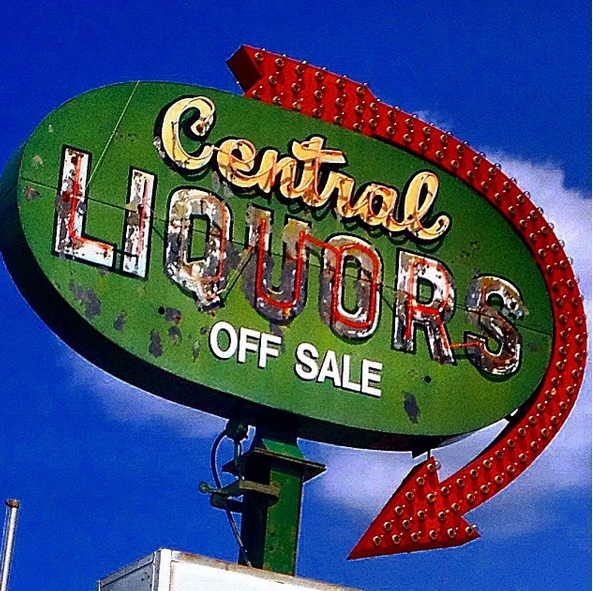 Central Liquors, Chisholm – Chisholm is an Iron Range town in northern Minnesota, with some great architecture and old signs, like the green Central Liquors sign with its swooping red arrow. 83. Spina Hotel, Ironton- The Spina Hotel in Ironton (outside of Brainerd) was built in 1913 as a multi-use building in anticipation of a mining boom in the nearby Cuyuna Iron Range. The boom didn’t quite pan out, but the building and its vintage sign somehow remain. 82. 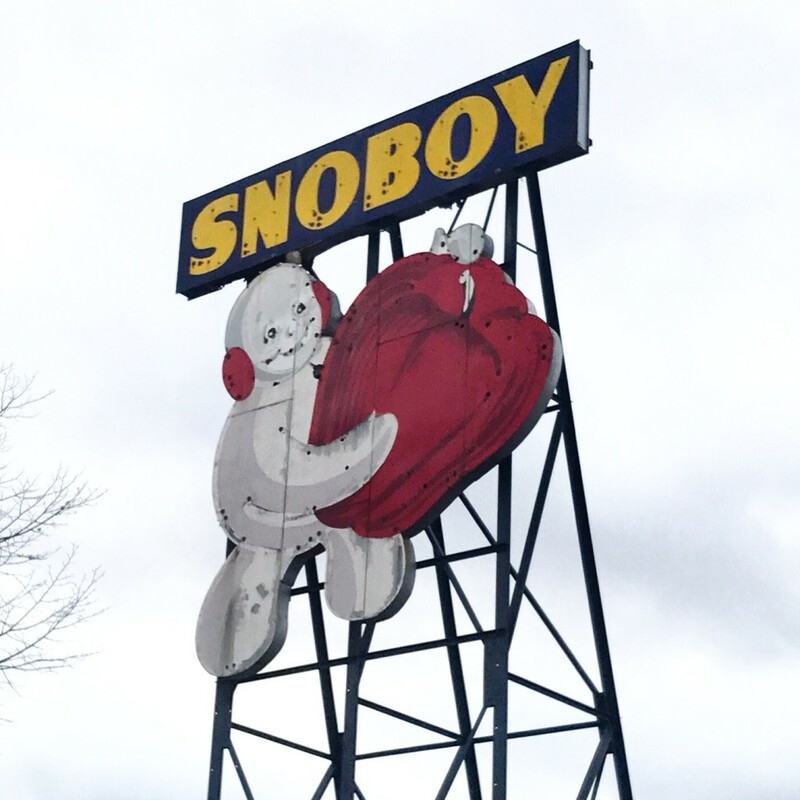 SnoBoy, Minneapolis- The iconic SnoBoy sign near downtown Minneapolis has been around since the 1950’s. It was a premium label used by the Proctor and Gamble company to advertise fresh fruit and vegetables. The sun was at a bad angle the afternoon I visited SnoBoy, but the legendary sign still hangs around long after the company moved out of town in the 1980’s. 81. 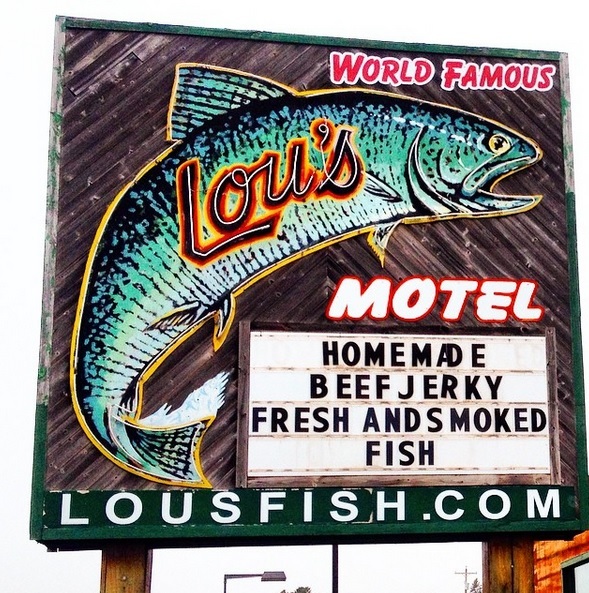 Lou’s Fish, Two Harbors- Lou’s Fish in Two Harbors along with North Shore is a combination old school road motel and a fish market in one. Their huge wooden sign features a colorful, leaping fish. 80. 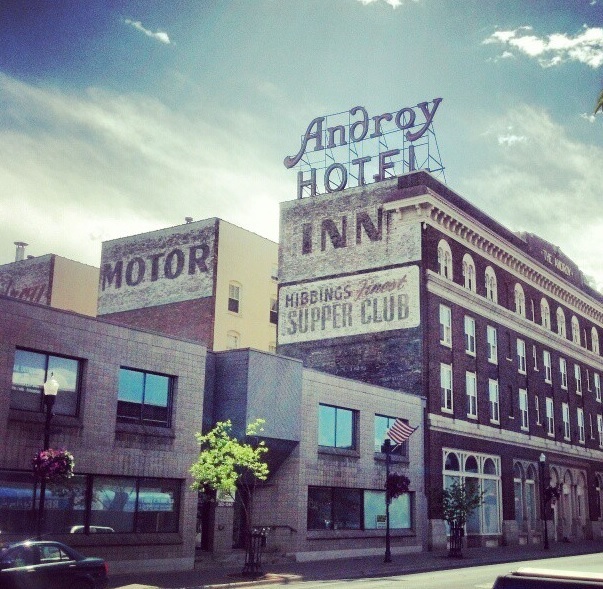 Androy Motel, Hibbing – The famed Androy Motor Inn in Hibbing still features a wicked old sign up top, with three buildings worth of ghost signs advertising it. It opened in 1921 and is currently used mostly as apartments. 79. C.S.P.S. 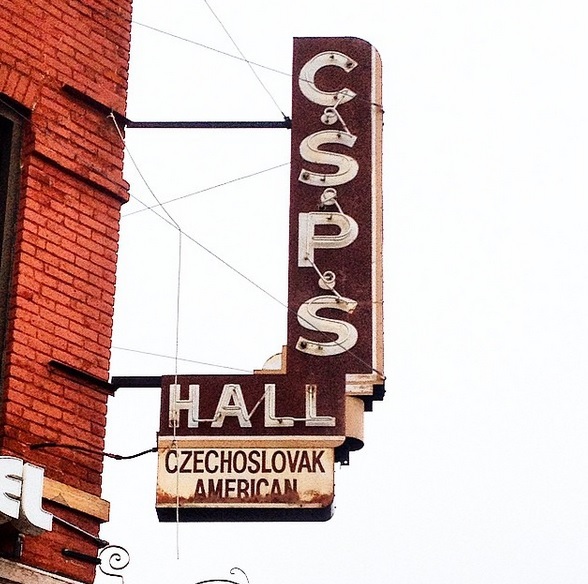 Hall, St. Paul – The “Czech and Slovak Sokol” Hall is a recreation and meeting hall in St. Paul’s West Sevent district for the society of Czech immigrants and thier descendants. It’s housed in a historic old brick building with a great old neon out front. 78. 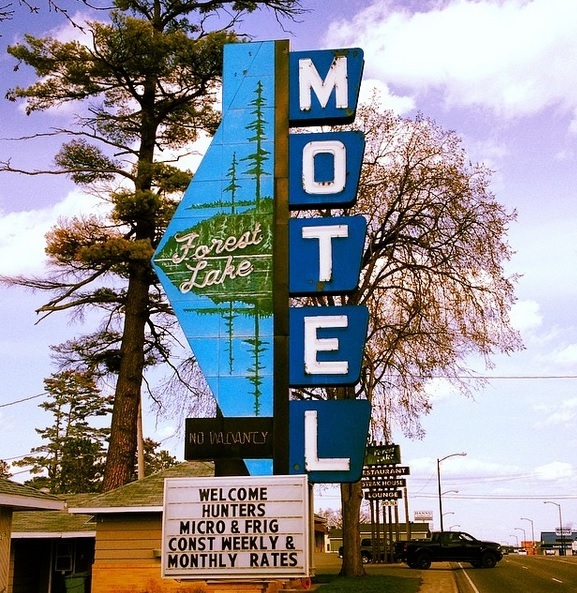 Forest Lake Motel, Grand Rapids – One of the better old motel signs in Minnesota, Grand Rapids’ Forest Lake Motel has been around for many decades. 77. 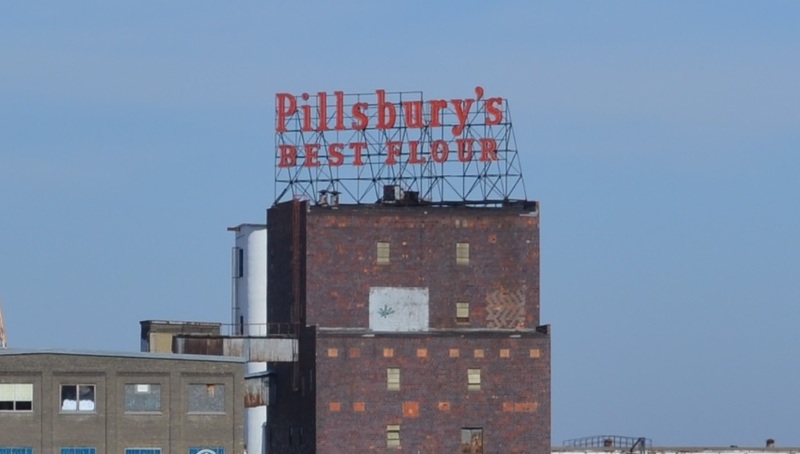 Pillsbury Flour, Minneapolis – Towering over the Mississippi River is another one of Minneapolis’ most iconic signs. Sitting across the river from downtown on St. Anthony Main, the sign is more than 70 years old and was recently restored in 2014. The light-up sign is a remnant of the Pillsbury Flour Mills that once dominated the industry in Minneapolis’ early years. 76. Croft Cafe, Crosby – Signs with arrows are always great, including this little gem at the Croft Cafe in Crosby. They had great food here including a fall classic, “Booya” stew. 75. 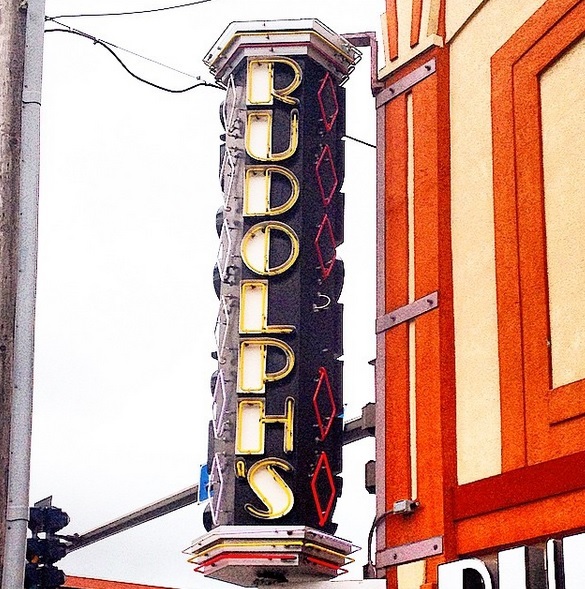 Rudolph’s, Minneapolis – A BBQ mainstay on Lyndale Ave south of downtown Minneapolis, is a “classy” BBQ joint since 1975. It has a great rotating retro neon sign different than any other sign in the city. 74. 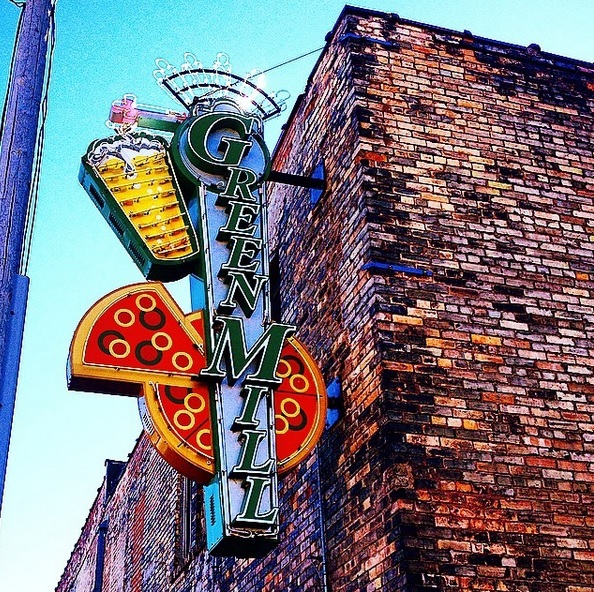 Green Mill, Duluth – Duluth’s Canal Park is a tourist wonder – even its more modern signs are designed to look retro. Even Subway, Red Lobster, and the above-pictured Green Mill sign all get the vintage neon treatment here. 73. 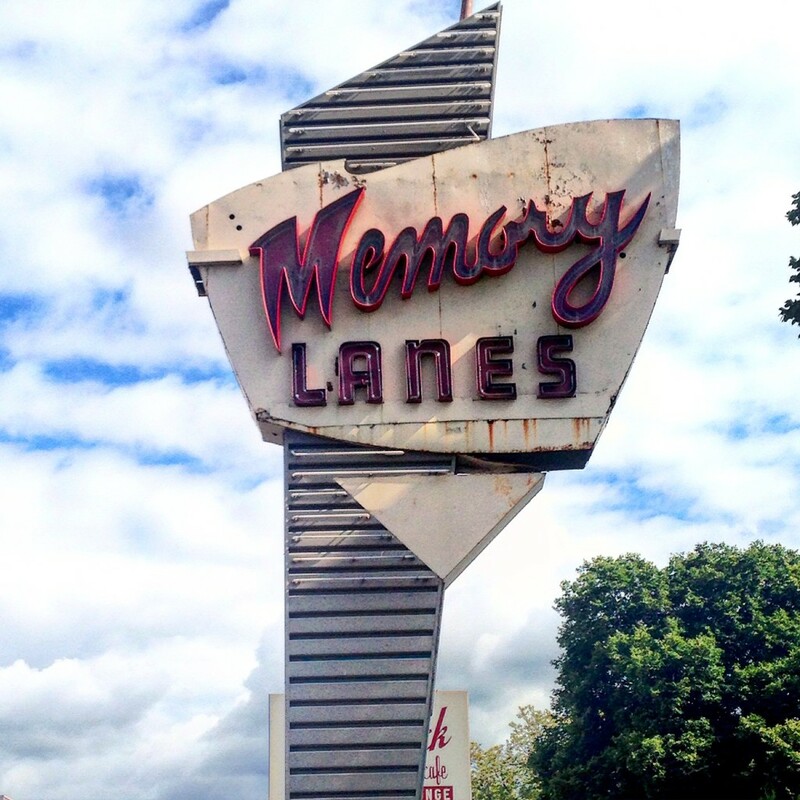 Memory Lanes, Minneapolis – Displaying the rare “Googie” style of architecture, (think futuristic, Space-Age “Jetsons” type of stuff), Memory Lanes in Minneapolis has been around since the 1950’s and is still going strong. 72. Marjo Motel, Tower – Tower is a cool little town outside of Ely near the Boundary Waters area, and the now-defunct Marjo Motel has a great old neon with the rare “cursive” font. 71. 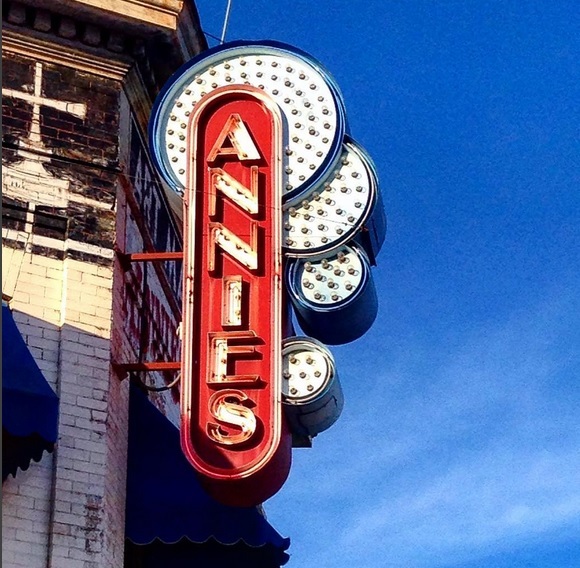 Annie’s Parlour – Dinkytown – “Dinkytown,” the city-within-a-city for Minneapolis’ U of M students on the east bank of the Mississippi River, features some fantastic local institutions like Annie’s Parlour, which as you can see, has a fantastic sign with circles. 70. 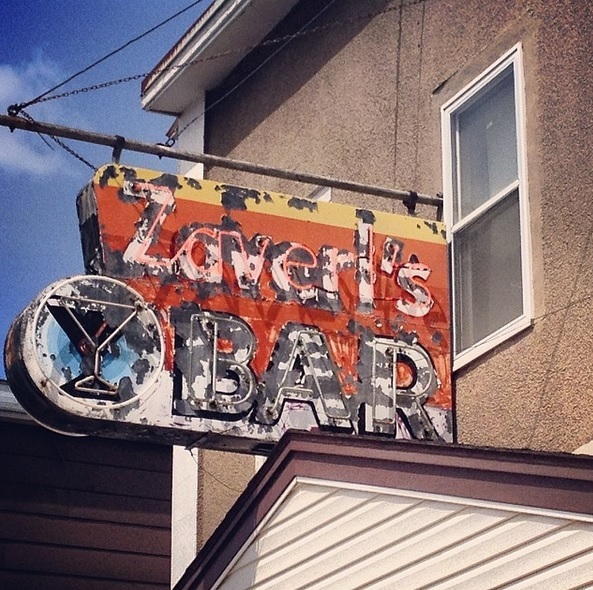 Zaverl’s Bar, Ely – The Boundary Waters town of Ely has a couple of old warriors, like the divey Zaverl’s, with its faded two-tone paint and martini-glass outline. 68. Giant Wash, Brainerd – A landmark in Brainerd, the Giant Wash sign outside of a laundromat just south of downtown even has an outline of a bag of wash.
67. 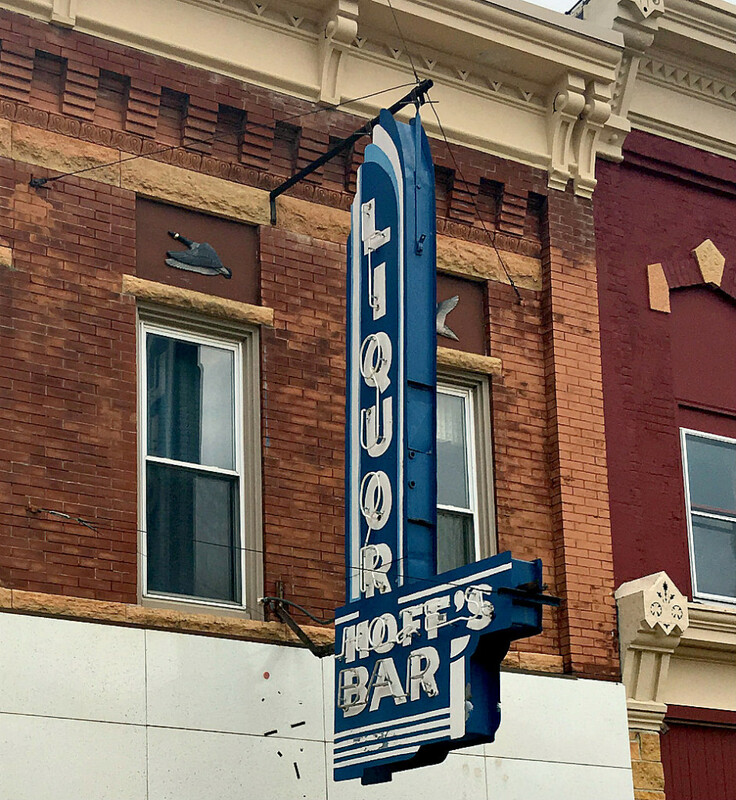 Hoff’s Bar, Owatonna – Hoff’s in Owatonna is a classic dive bar in a fantastic little southern Minnesota town, and their recently-restored sign will likely be there for many years to come. 66. 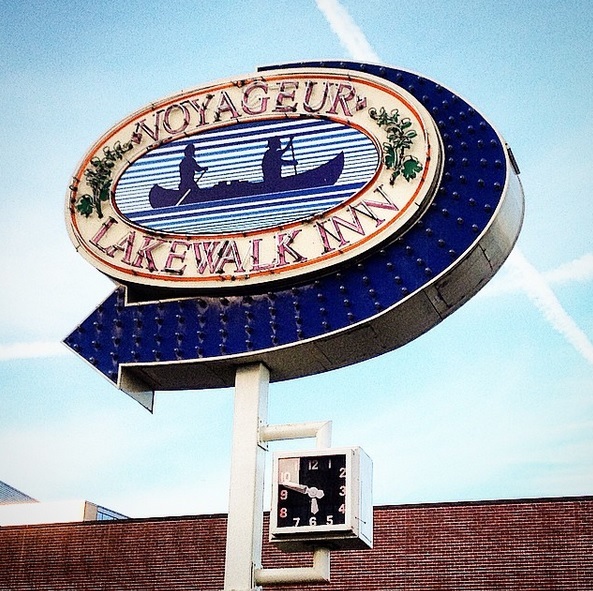 Voyaguer Lakewalk Inn, Duluth – The Lakewalk Inn sign in downtown Duluth has three great aspects – a graphic of some canoers, a swooping arrow, and a great little square analog clock. 65. 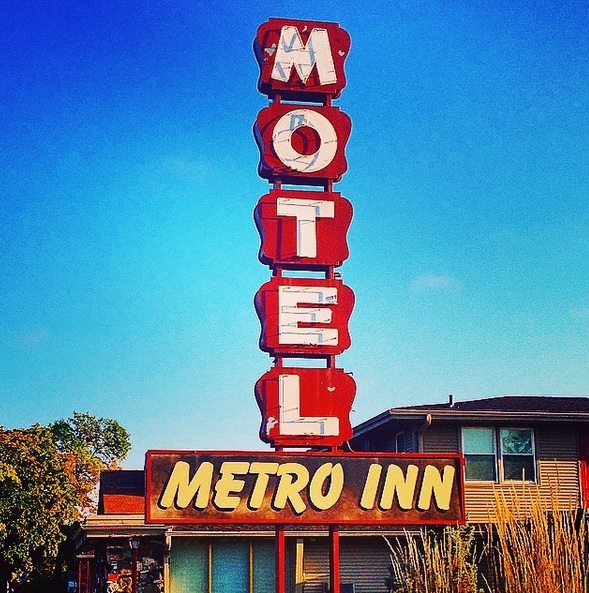 Metro Inn Motel, Minneapolis – Situated just next door to #17 on our original list, the Metro Motel has a funky, vertical block sign from the 1950’s. It was at one point known as the Boulevard Motel. 64. 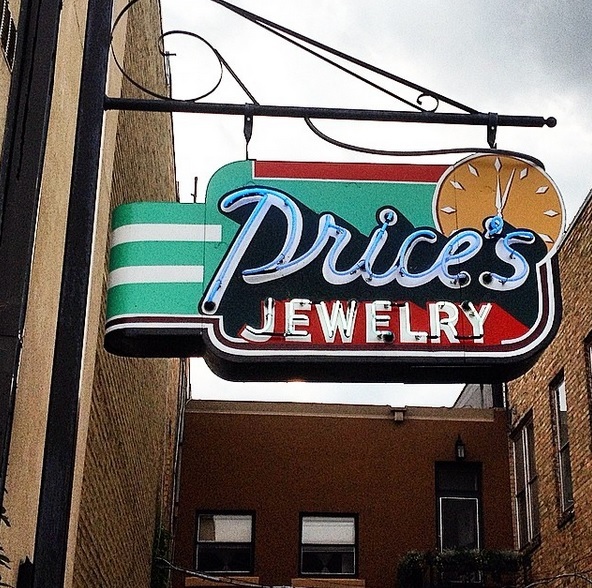 Price’s Jewelry, Detroit Lakes – Price’s Jewelry in Detroit Lakes has been around for decades, and they recently refurbished their old neon, with it’s Art Deco style and clock design. 63. 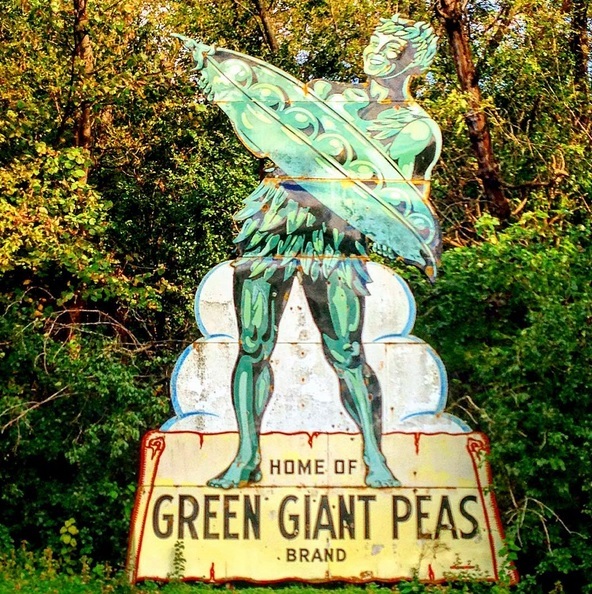 Jolly Green Giant, Le Seuer – Le Seuer, MN, in the Minnesota River Valley near Mankato, is the original home of the Jolly Green Giant company. 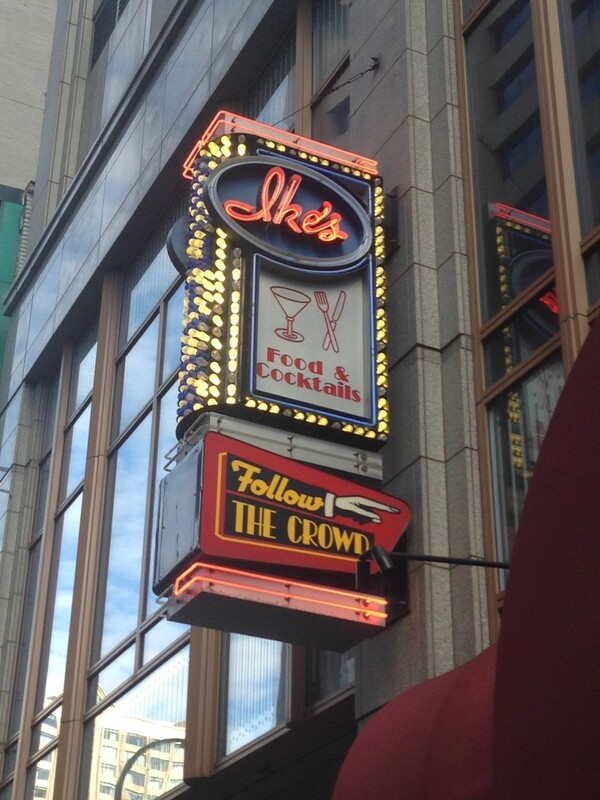 The headquarters have since left town, but scattered around town are homages to the historic Minnesota-based icon. The above-pictured sign is massive and nostalgic. 62. 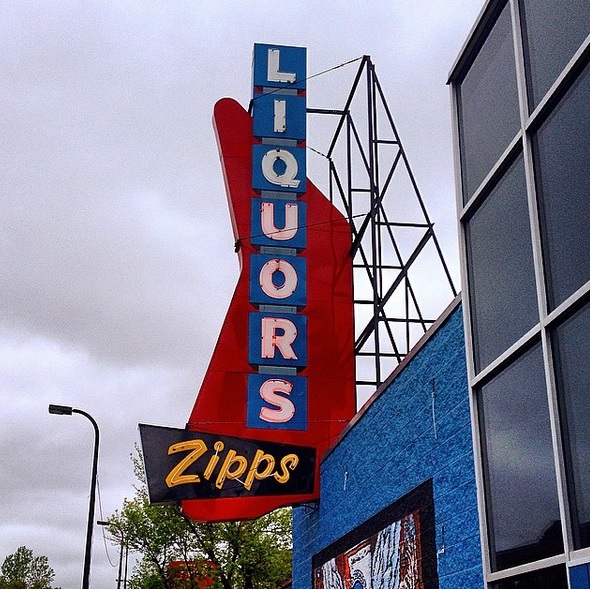 Zipp’s Liquors, Minneapolis – Many of the best neon signs are found outside of old motels, liquor stores, and watering holes. 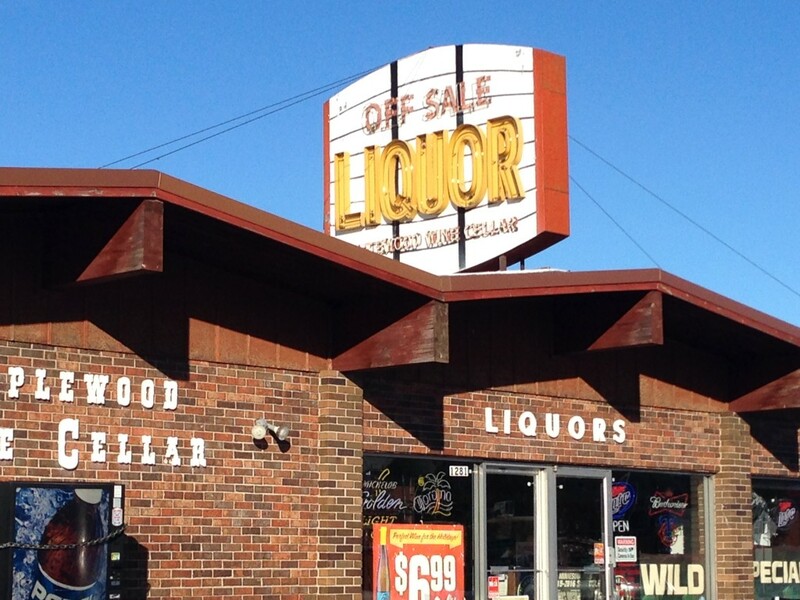 This one, above Zipp’s Liquors in Minneapolis has some great color and design. 61. 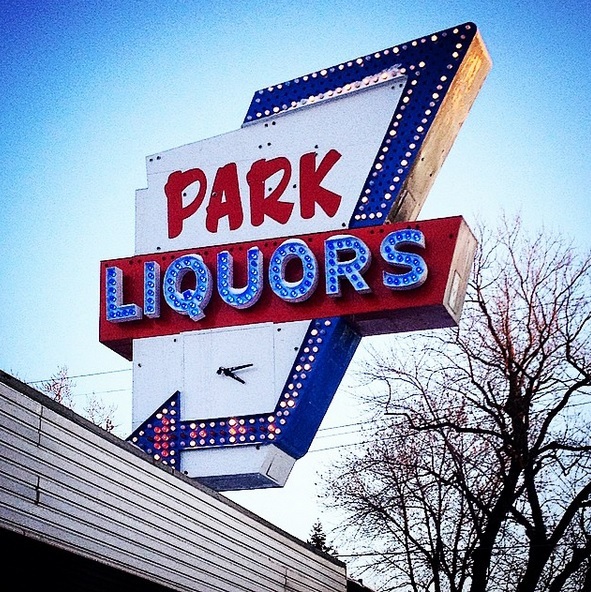 Park Liquors, St. Paul – Similar to Zipps Liquors in Minneapolis, Park Liquors in St. Paul has eye-catching colors, a light-up arrow, and even a numberless, analog square clock. 60. 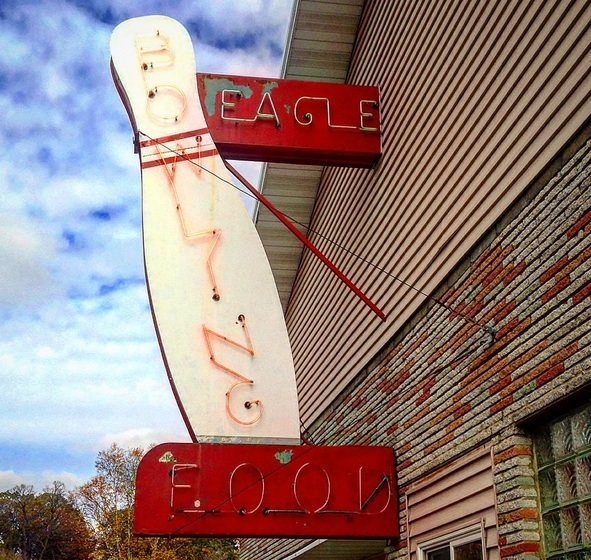 Eagle Bowling, Grey Eagle- Grey Eagle is a small town in central Minnesota with a huge bowling alley sign with a tilted pin. The photo just doesn’t do this one justice. 59. 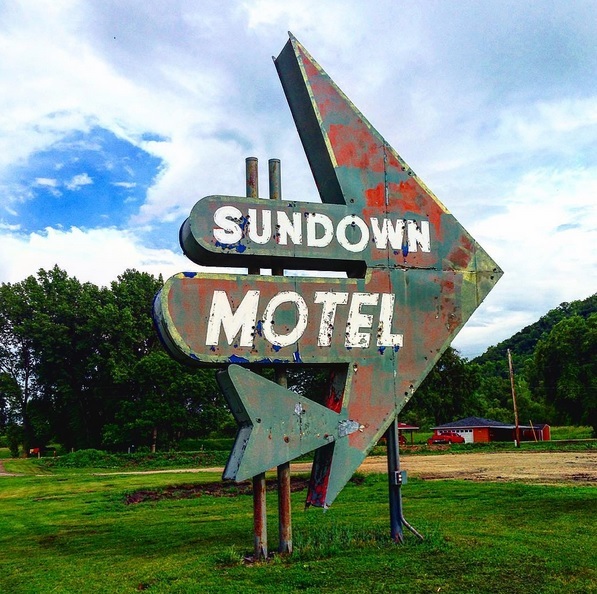 Sundown Motel, Goodview- As you can see in the background of the photo, the ol’ Sundown Motel north of Winona on Highway 61 has met its final demise. 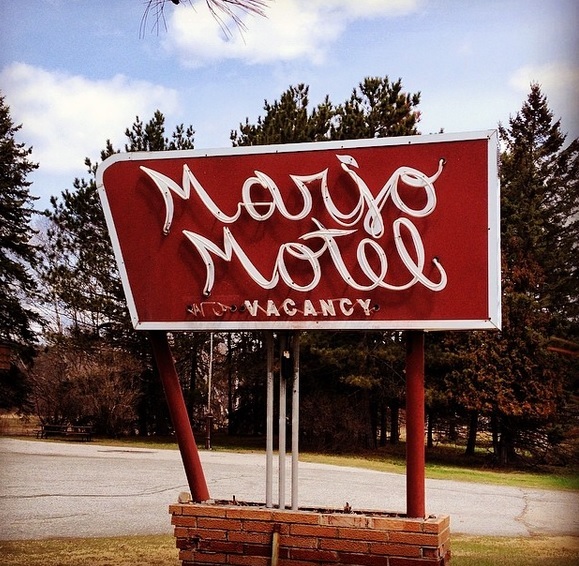 Like the motel, their retro, over-sized, double-arrow sign’s future is likely in question as well. 58. 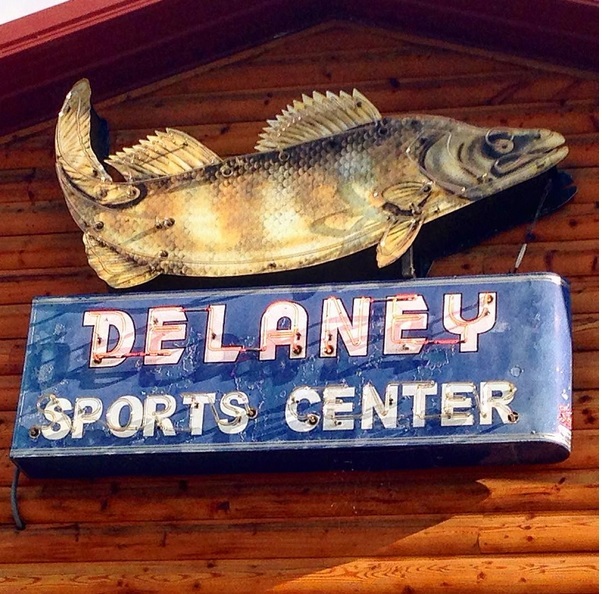 Delaney’s Sport Shop – Park Rapids – Although mounted flush on the facade of the building, the Delaney’s Sport Shop sign in Park Rapids is a great old faded neon with a detailed fish graphic on top. 57. 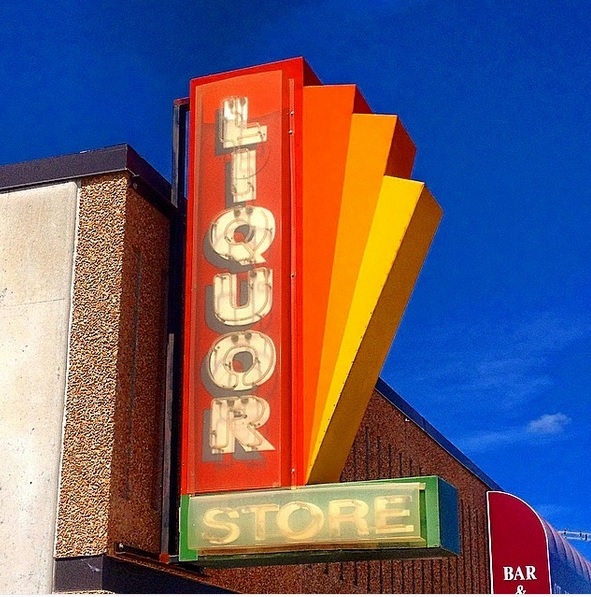 Liquor Barrel – Maplewood – A Mid-Century Modern gem in the eastern St. Paul Suburb, the Liquor Barrel in Maplewood features a barrel-shaped sign that is hard to miss. 56. 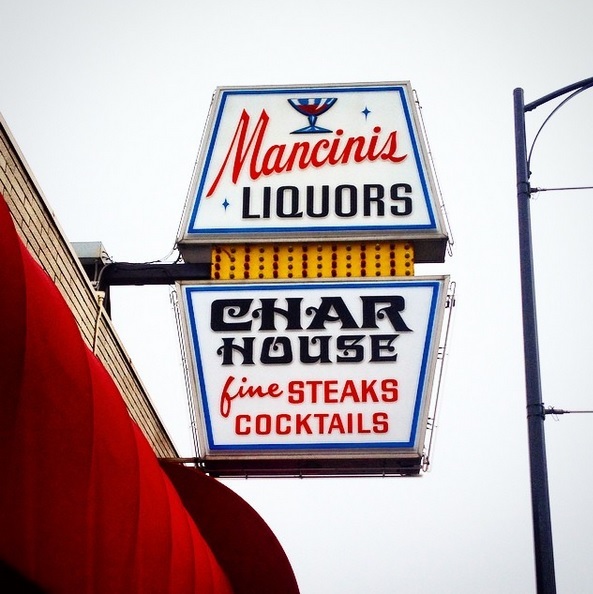 Mancini’s, St. Paul – The Nye’s Polonaise of St. Paul, Mancini’s Char House in St. Paul’s West Seventh neighborhood is a step back in time. 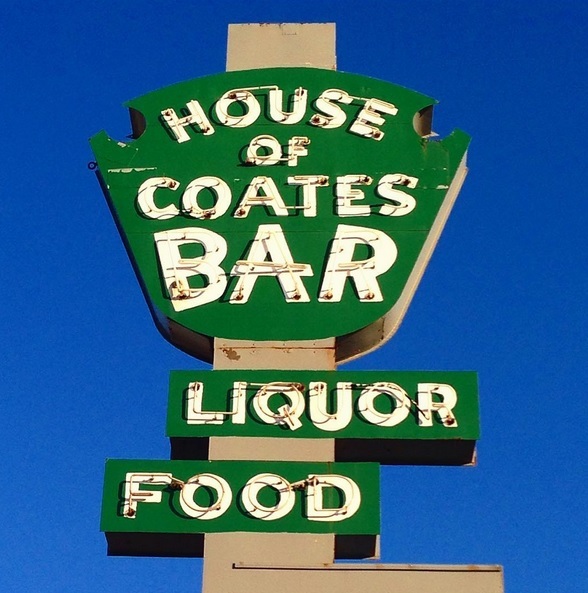 It’s a dark, boozy, “Supper Club” type of steak house, and its vintage, 70s-era sign is reflective of that. 55. 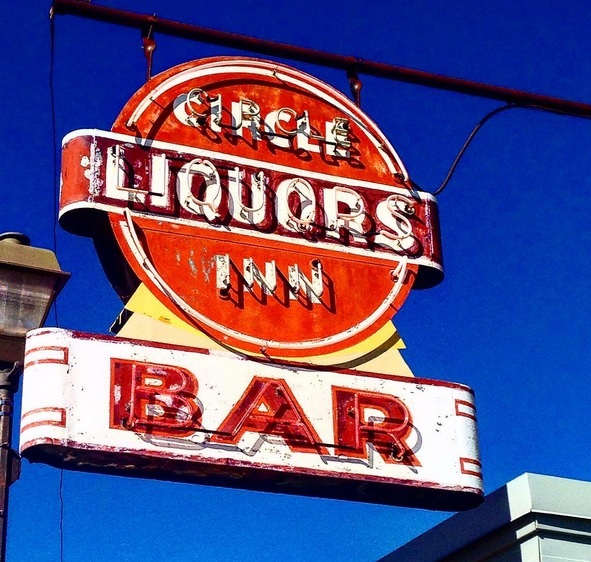 Circle Inn, North Mankato – The classic neon hanging above this dive bar in North Mankato is everything we love about these signs. A bit faded, cool shapes and colors, and nothing more. 54. 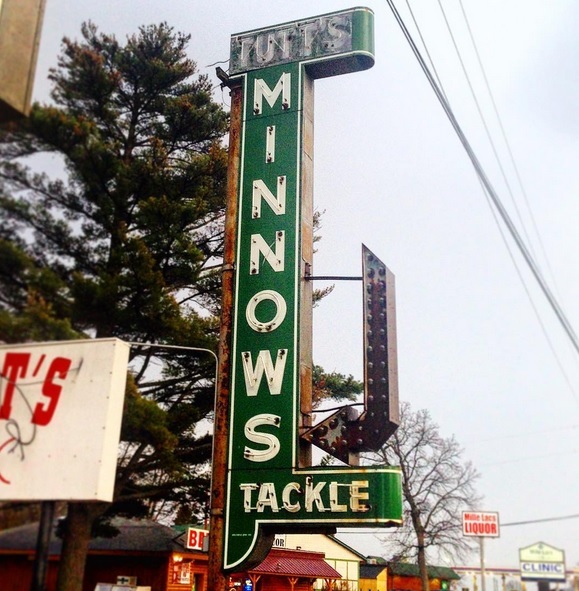 Tutt’s Minnows, Garrison – Tutt’s Bat Shop in Garrison has a great old-school green Deco sign with a light-up, sharp-angled arrow to boot. 53. 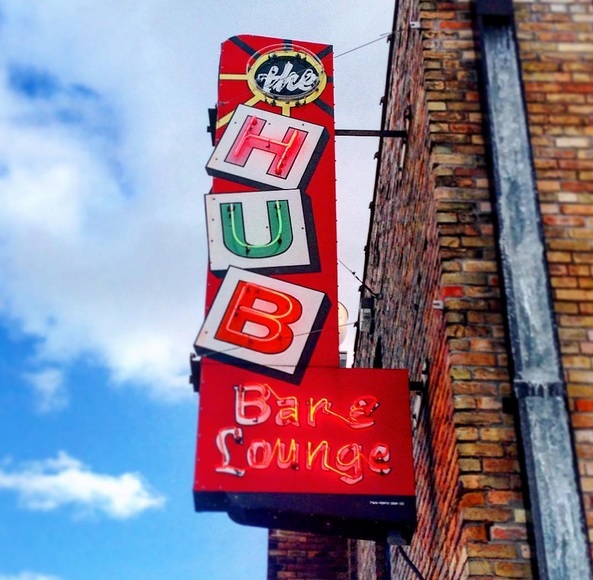 The Hub, Cloquet – A colorful, fun, block-lettered sign in Cloquet advertises the Hub, which is actually no longer there. The sign dates back to the 1960’s. 52. 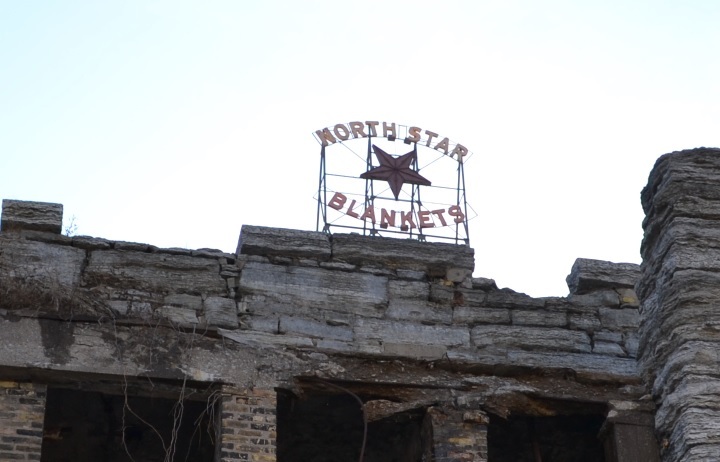 North Star Blankets, Minneapolis – This iconic sign in downtown Minneapolis on the edge of the Mississippi River sits atop the old North Star Woolen Mill factory which dates back to the 1860’s. 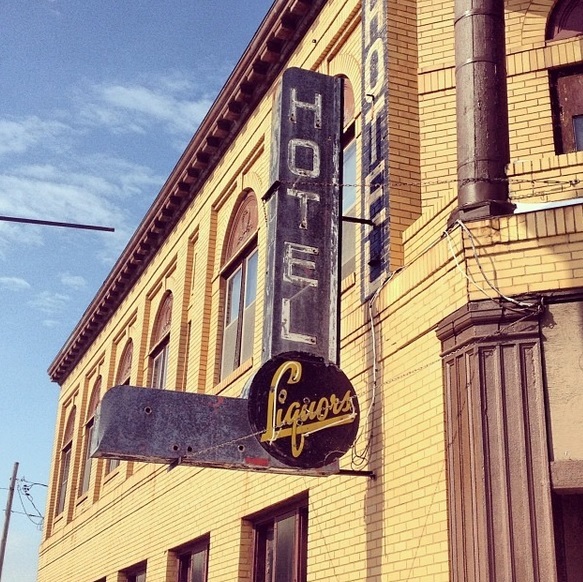 The complex has been converted to private lofts and the classic neon sign was recently restored. 51. 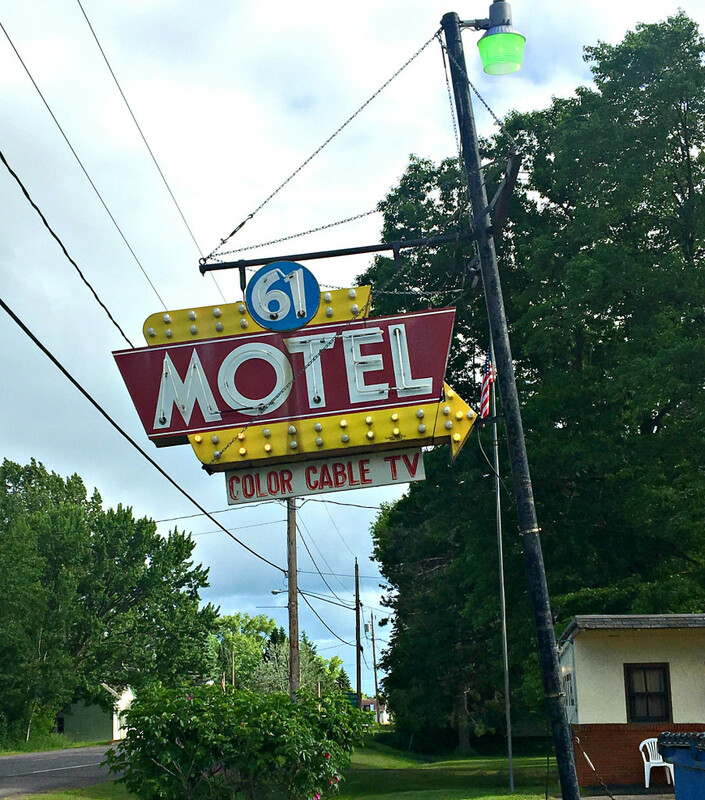 The 61 Motel, Sandstone – A restored beauty from the legendary Highway 61 in Sandstone, the 61 Motel sign hangs slightly crooked with a bright yellow arrow above the old roadside motel. Check out the next 50!